Sim@n had the most liked content! Just wondered if anyone has seen or been in touch with Fish. He hasn't posted on here for some time & his phone is permanently on voicemail. Kieran back in the fold, congratulations sir! Anyone know of a DeLorean locally? Thanks Mark, I've passed your lead on, cheers! Does anyone know of a locally owned DeLorean who might be prepared to park it outside a wedding venue sometime in August near Matlock? Any leads or help would be greatly appreciated. If the weather stays fine i'll be heading to Hassop Station this Sunday morning, there might be a freshly restored Elan there, an E-Type, a Renault Spyder and possibly others, anyone else up for a bacon butty and some banter? Gav at Unit 4 has once again put up an 'A' Service for this year's Lotus in the Peak event, thank you for your support of this club and event. 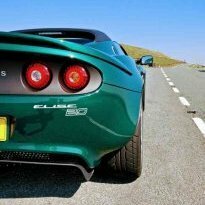 Exige S1 Restoration (images changed).